We are open Mon-Fri from 8:30 a.m. - 5:00 p.m. or anytime by appointment. At Hometown Realty our goal is to give real estate buyers and sellers the highest caliber of professional realty service. We put our clients and customers’ needs first and ourselves second. 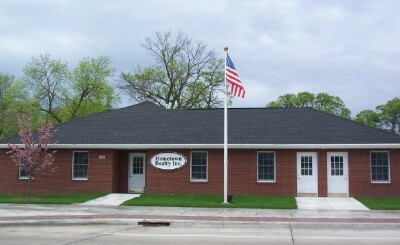 It is our mission to be the most respected real estate company in Hutchinson, Minnesota. Our professional realtors in Hutchinson, MN blend a thorough knowledge of the real estate industry with the highest level of enthusiasm. We believe in continued education and training for all the people who work at Hometown Realty, Inc. This means better trained real estate agents to help you through the property buying or selling process. Browse our web site for more information about Hutchinson, MN property listings, McLeod County homes for sale, and Hutchinson, Minnesota real estate. Hometown Realty has worked hard to earn and maintain the business of some of Hutchinson, MN’s largest employers when they transfer their employees. State-of-the-art computer technology helps us create marketing tools and organize our office so we are efficient and effective. Many of our marketing ideas are unique and get great results. Hometown Realty takes your needs and concerns seriously and you can rely on our agents to be available to you when you need them. And that means less stress for you. Hometown Realty and its realtors believe that buying or selling a home should be an exciting and pleasant experience. You can depend on us to make that happen.